Olympus is supplying an 18-megapixel camera for enabling 4k resolution presentation of images from optical microscopes. Optimised for sharing, documenting and publishing, the fast 18-megapixel SC180 camera uses the full optical resolution of the microscope and produces clear, crisp images at all magnifications. The 4K UHD live image helps to engage audiences in large-screen presentations and to increase throughput in tissue documentation and creating detailed images for publication. 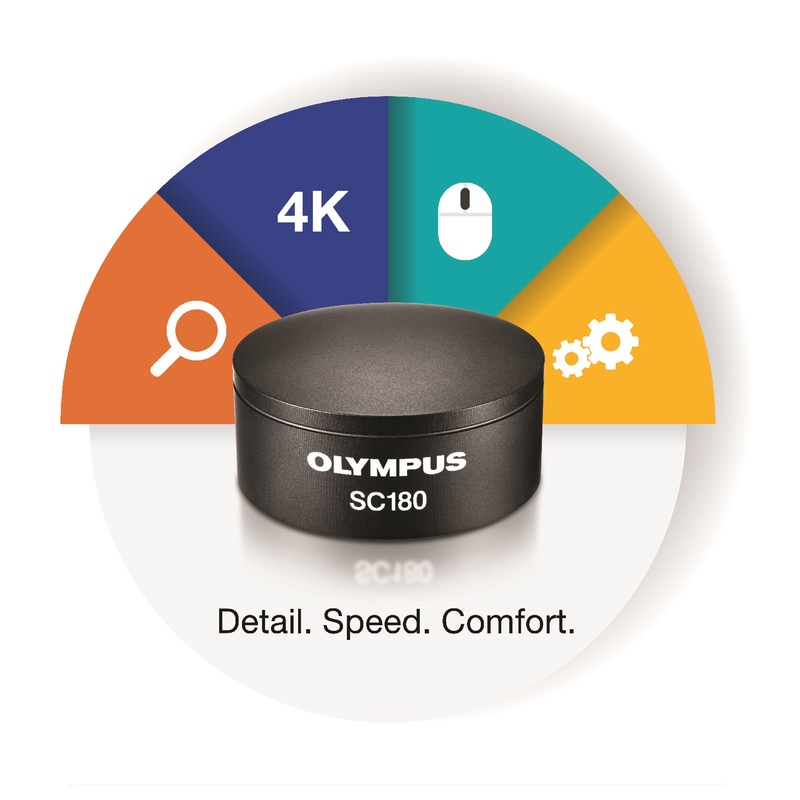 With the SC180 camera, Olympus makes 4K Microscopy accessible to more users than ever before. 4K Microscopy enables users to get the same level of detail on the screen as through the oculars and show true-to-life structures and colours for enhanced sample observation. To guarantee the highest quality of images, the SC180 camera features fully automated, real-time image processing features. Olympus Smart Image Averaging (OSIA) reduces noise for crisp, clean images; real-time colour profiling with automated white point calibration ensures natural-looking colours for reliable images. Speeding up routine imaging, the SC180 also has Focus Peaking technology as well as a Fast Live function to improve throughput and productivity. Focus Peaking enables users to see which areas of a specimen are exactly in focus and get the desired image with the first click. Fast Live maintains a high frame rate when the specimen is being moved to ensure comfortable, fluid navigation regardless of the illumination conditions. Moving to 4K Microscopy provides benefits for all microscopy users – and the Olympus SC180 camera is a user-friendly and cost-effective solution for microscope imaging. The combination of a 4K UHD live image and a range of user-friendly features makes the SC180 well suited for sharing, documenting and publishing images with all the sample’s natural, fine details.